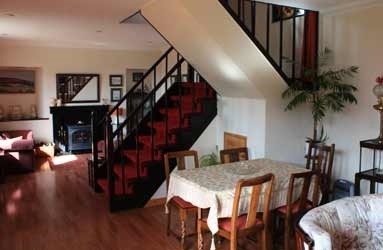 Stemreway is a modernised yet traditional Lewis croft house with superb open plan layout ownstairs. 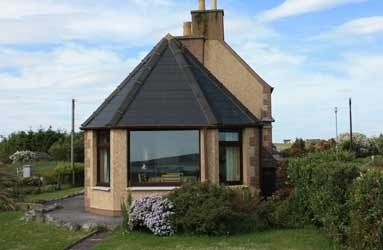 Set in a typically rural village, it is a ten minute drive from Stornoway. 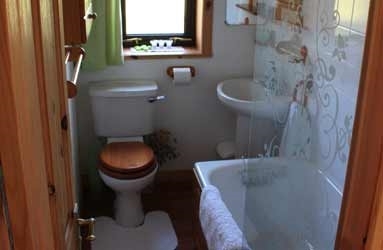 It has a seaview with excellent beaches closeby. 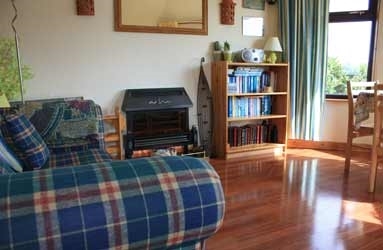 A peachful, relaxing base for touring, walking, fishing and birdwatching. 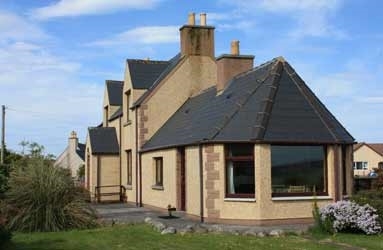 This traditional Lewis house (Stiomrabagh in Gaelic) is now available for self catering. 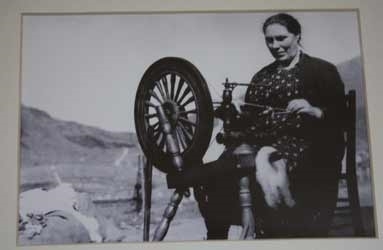 Situated in the village of Back about five miles form Stornoway, Stemreway offers absolute comfort and tranquillity. 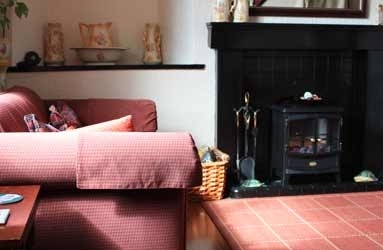 Downstairs, the house has a very large open plan sitting/dining room with original fireplaces, kitchen, conservatory and bath/shower room. 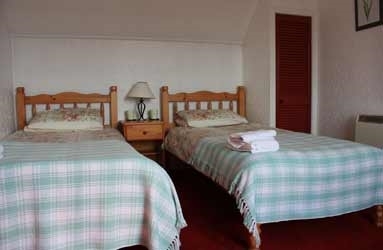 Upstairs there are two bedrooms, one double with en-suite and the other twin bedded. There is loc-block parking at the front and a large garden area to the rear. 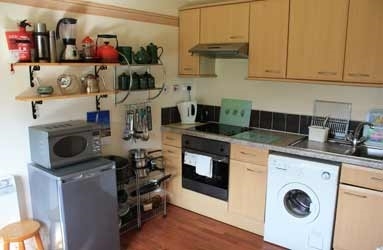 The house is fully furnished and equipped to a high standard. A coloured brochure with full details is available on request. 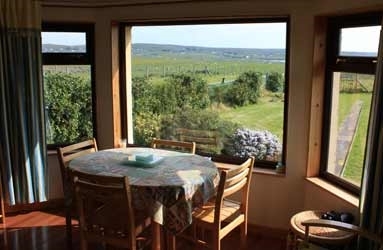 Visitors frequently comment on the superb view from the picture window in the conservatory of the village of Gress with its magnificent sandy beach and the open expanse of Broad Bay.